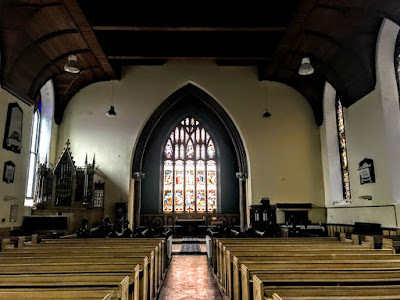 A few months ago [3 January 2018], I wrote about Saint Michael’s Church on the corner of Pery Square and Barrington Street in Limerick. 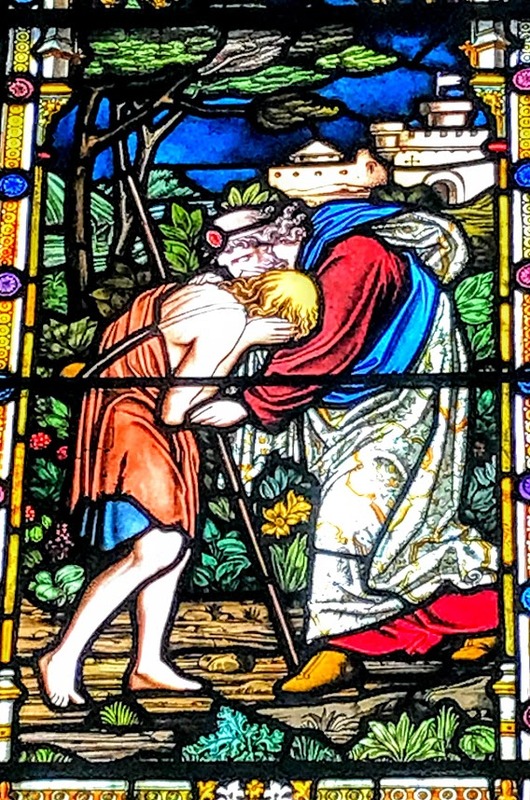 But, at the time, I was looking at the church from outside. 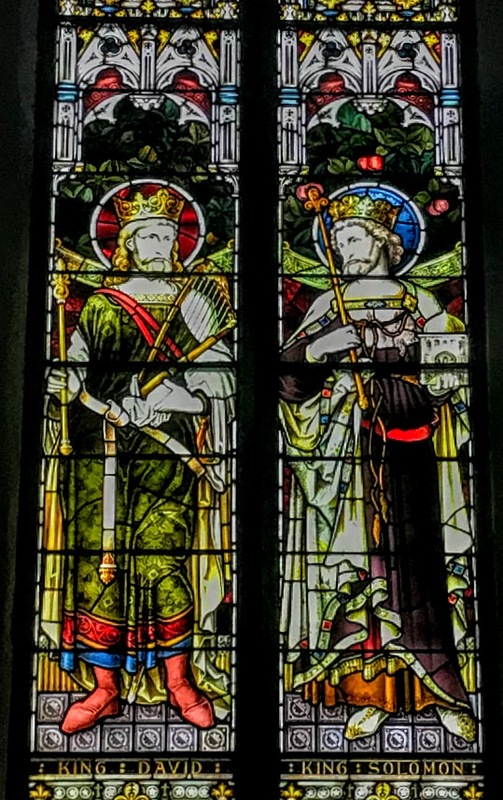 Last week, I was at a meeting in the hall that has been fitted out at the west end of the church, below the surviving balcony, and I had an opportunity to spend time on my own admiring and photographing the Victorian stained-glass windows and the monuments. 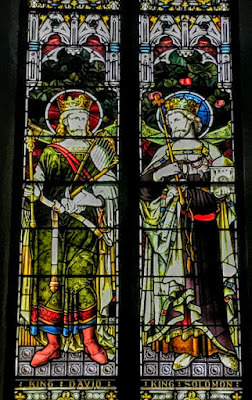 Saint Michael’s was designed around 1836 by the Limerick-based architect James Pain and his brother, George Richard Pain, and was built by William Wallace. 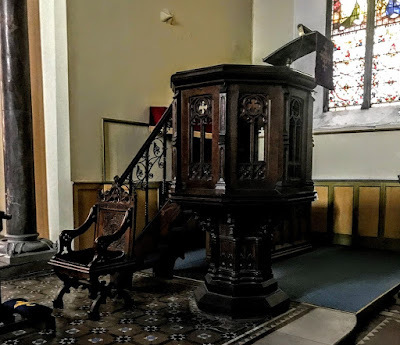 It was consecrated when it was completed in 1844. It was also known as ‘the sinking church’ as it was not built on bed rock and has sunk ever so slightly over the years. The new chancel was added in 1877 at a cost of £2,000 by William and Robert Fogerty and the two side balconies were removed, reducing the seating capacity of the church to 800 and opening up the windows on the north and south walls of the church. 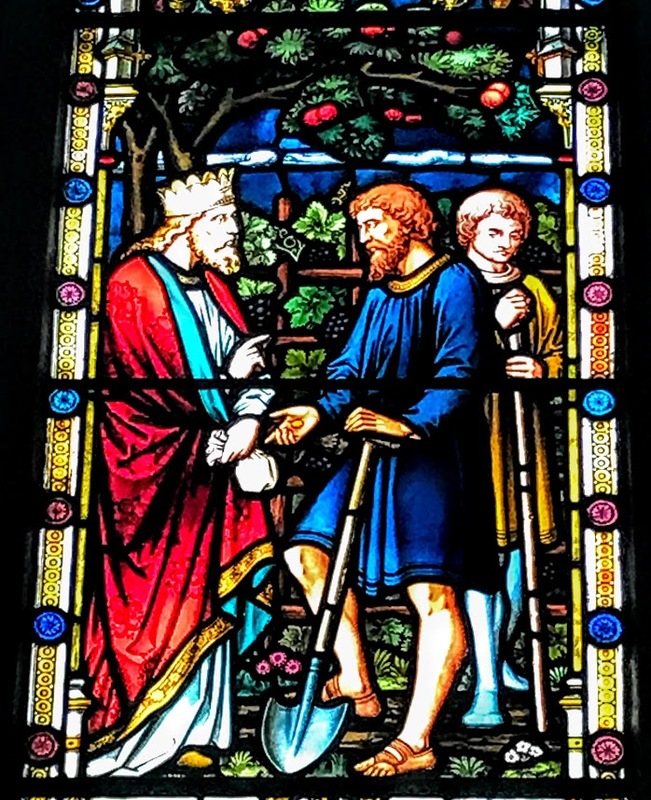 At the same time, the East Window, which was designed by James Pain for Saint Mary’s Cathedral, Limerick, was reduced in size to fill the space in new chancel area. 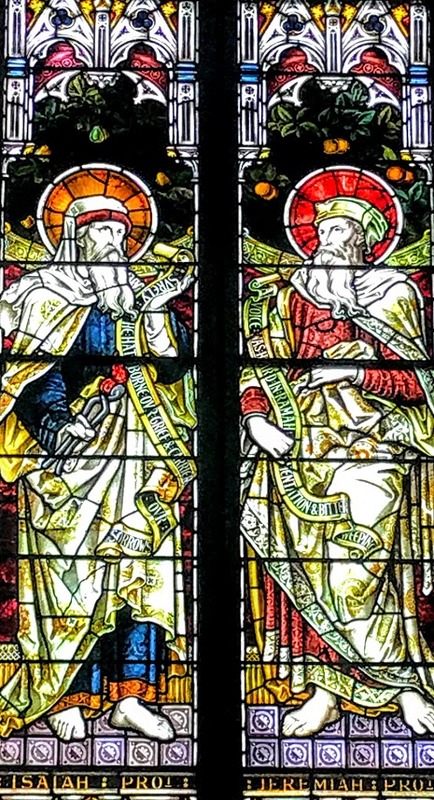 By the ingenuity of the architects, this cathedral window was reduced in dimensions, and was made suitable for the smaller Saint Michael’s Church. 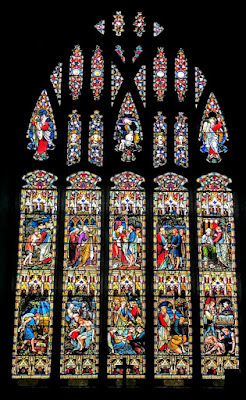 The Chancel or East Window is composed of five lancets, measuring 3810 mm x 660 mm and 21 tracery-lights. Its patronage is the Matterson and Russell families, and the journal Architect (1878), names the donor as Spaight and the architect as Joseph Fogerty and Son. 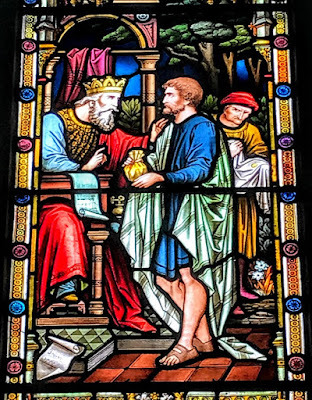 The glass was made in 1878 by Mayer & Co, which had stained glass studios in Munich, London and New York. 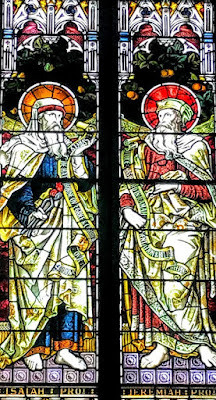 The company was founded in Munich in 1847 by Josef Gabriel Mayer (1808-1883) to revive and promote the church building trades of the Middle Ages. 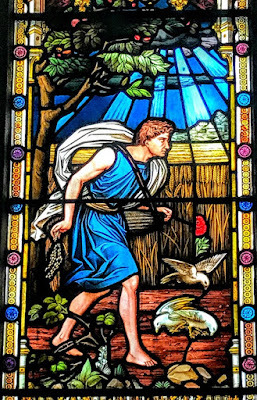 It started to manufacture stained glass in the early 1860s, meeting with such success that in 1865 it opened a branch in London. A New York branch was opened in 1888. The firm is still active and managed by descendants of the founder. 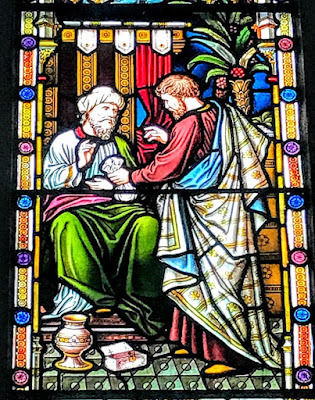 Mayer windows are found throughout Ireland, in both Roman Catholic and Church of Ireland churches, including Saint John’s Cathedral, Limerick, Saint Mary’s Roman Catholic Church in Askeaton, Co Limerick, and Saint Nicholas Church (Church of Ireland), Adare, Co Limerick. 10, the Pearl of Great Price (right, upper). 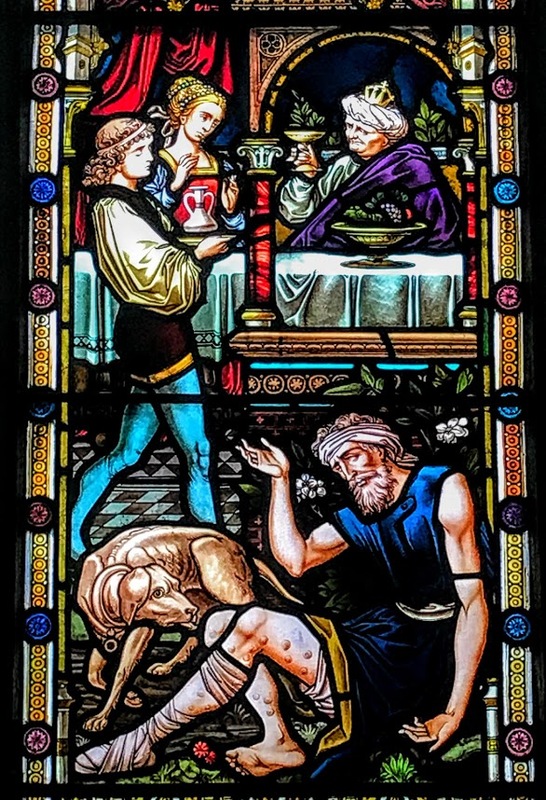 Above the parables, the images in the tracery depict Moses and the Brazen Serpent (left); Abraham Sacrificing Isaac (centre); and Moses and the Tables of the Law (right). 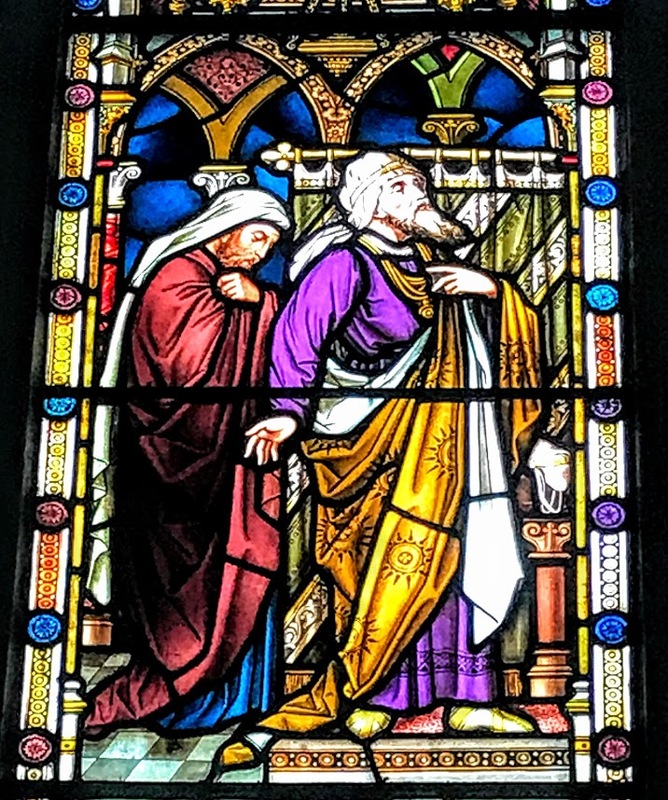 Further work was carried out at Saint Michael’s by Charles W Harrison of Dublin in 1883 with the design of the mural monument in memory of Mrs Purdon Wilkinson. 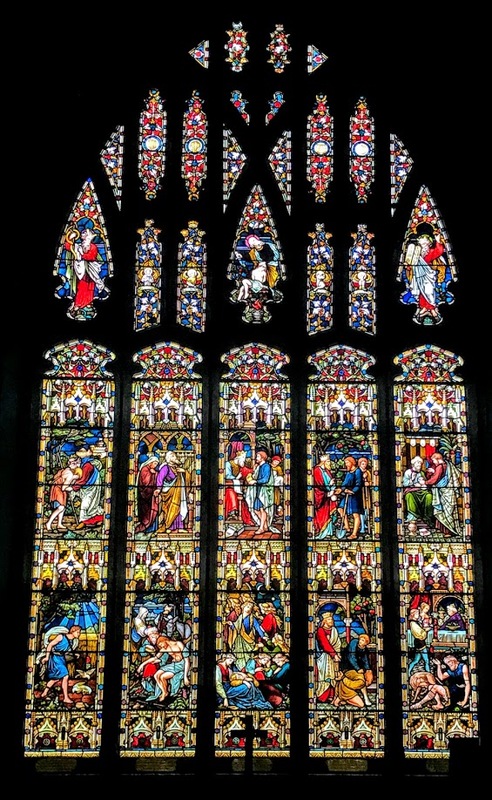 Four windows in the nave were made in the London studio of Heaton, Butler & Bayne in 1889-1895, and share similar designs and patterns. 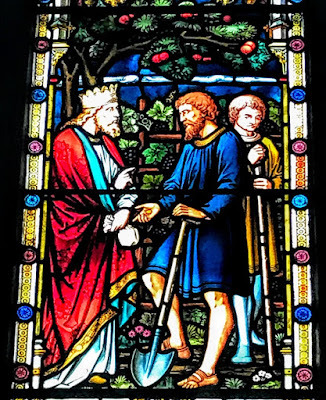 They have two lancets, measuring 5300 mm x 630 mm, with one six-foil and two small tracery-lights, and illustrate Old Testament Priests, Prophets and Kings. 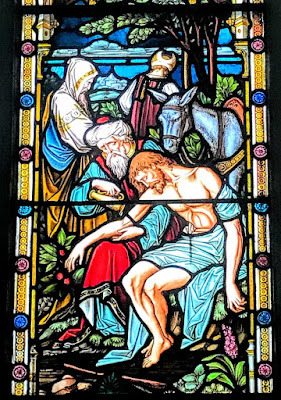 Heaton, Butler and Bayne produced stained glass windows from 1862 to 1953. 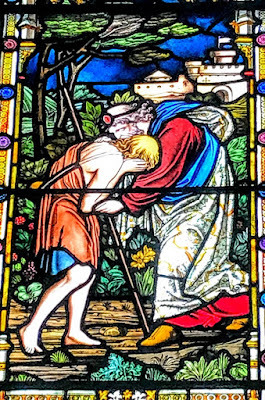 The firm dates back to 1852, when Clement Heaton (1824-1882), from Bradford-on-Avon in Wiltshire, founded his stained-glass firm. 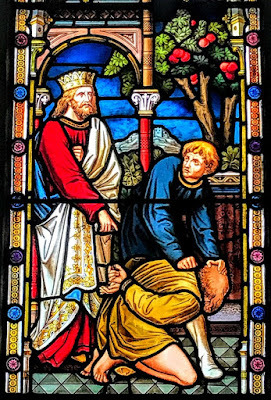 He was influenced at an early stage by AWN Pugin, and first worked as a glass painter for William Holland in Warwick. 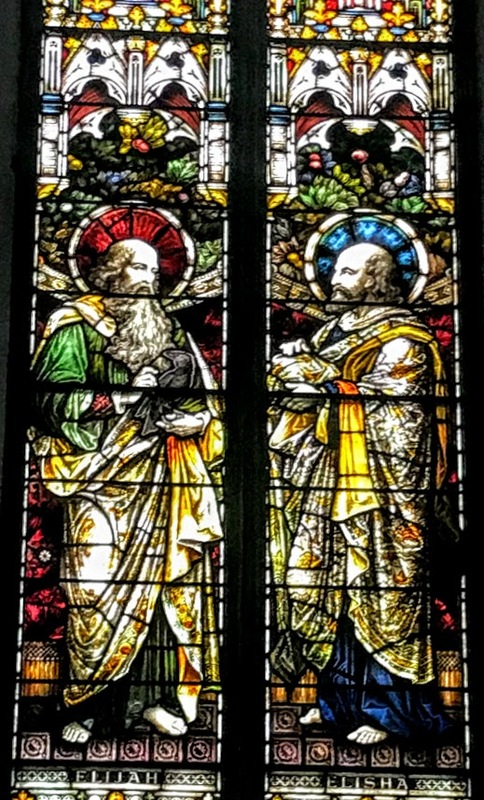 Heaton was joined in 1852 by the lead glazier James Butler (1830-1913) from Warwick. 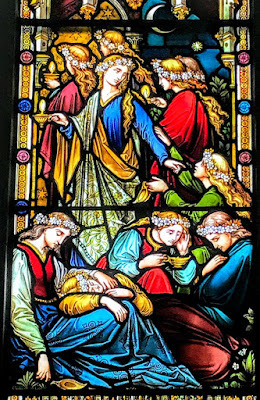 They worked alongside Clayton and Bell in 1859-1861, and were joined by the pre-Raphaelite Robert Turnill Bayne (1837-1915), who became their sole designer and a full partner in 1862. From then on, the business was known as Heaton, Butler and Bayne. 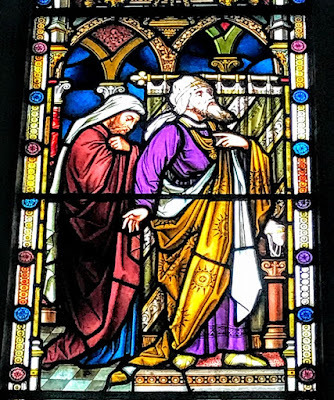 Their windows show strong design and colour, and often they are recognisable by the inclusion of at least one figure with Bayne’s features and long beard. The partners established a studio in Covent Garden, London, and became one of the leading firms of Gothic Revival stained glass manufacturers, whose work was commissioned by the principal Victorian architects. 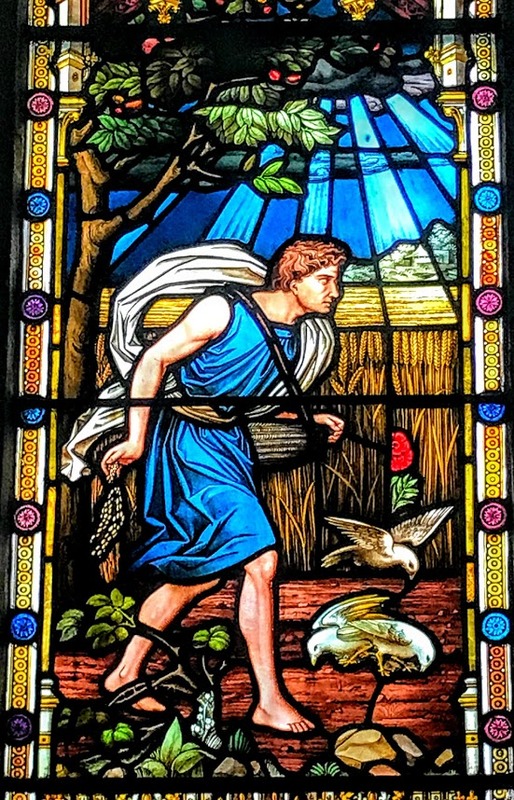 A change in direction came with their production of windows to the designs of Henry Holiday in 1868, showing a more classical influence at work. 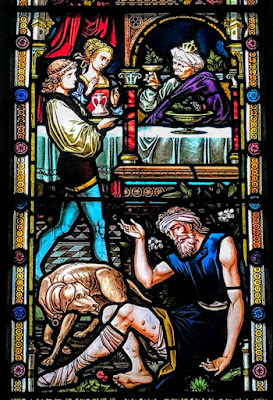 A window by Heaton, Butler and Bayne installed in Westminster Abbey in 1868 is an early example of the work of Henry Holiday. In 1882, Heaton’s son, Clement J Heaton, became a partner. 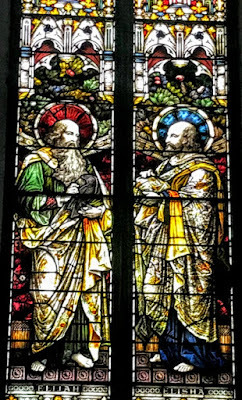 At its height, the firm produced stained glass for numerous churches throughout the Britain and Ireland, including Saint Nicholas Church (Church of Ireland), Adare, Co Limerick; Straffan Church, Co Kildare; Saint Mary’s Church, Julianstown, Co Meath; and Saint Ann’s Church, Dawson Street, Saint Bartholomew’s Church, Ballsbridge, and All Saints’ Church, Blackrock, in Dublin. 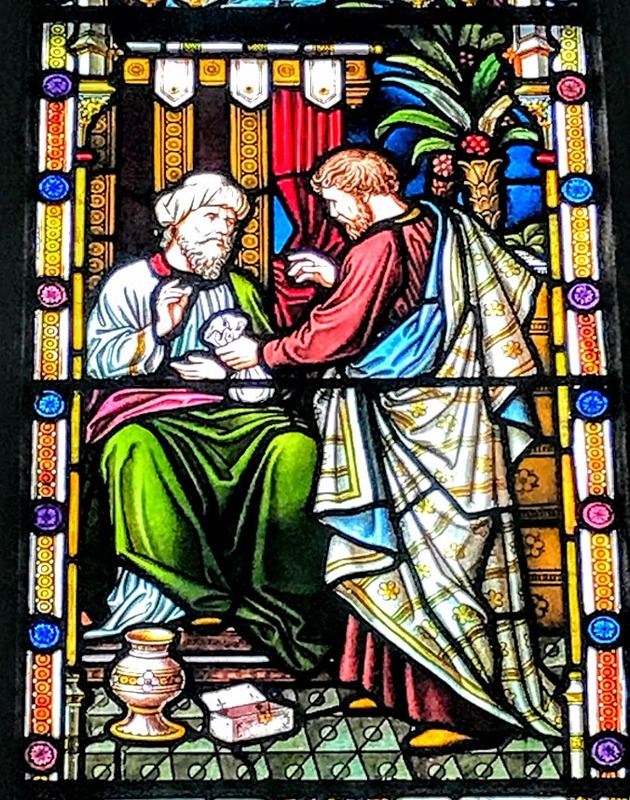 In England, the partnership designed windows for many cathedrals, churches and college chapels, including Chester Cathedral, and Corpus Christi and Emmanuel College, Cambridge. 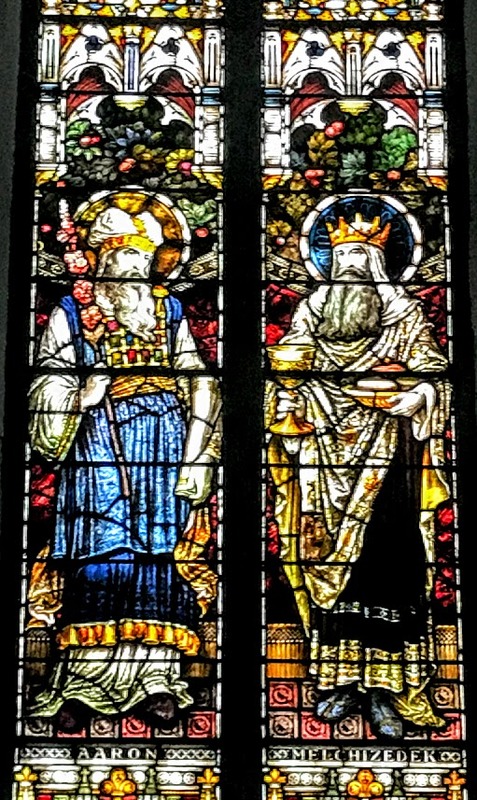 3, Isaiah (left) and Jeremiah (right), 1889. 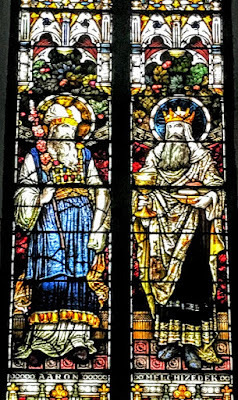 4, King David (left) and King Solomon (right), 1889. 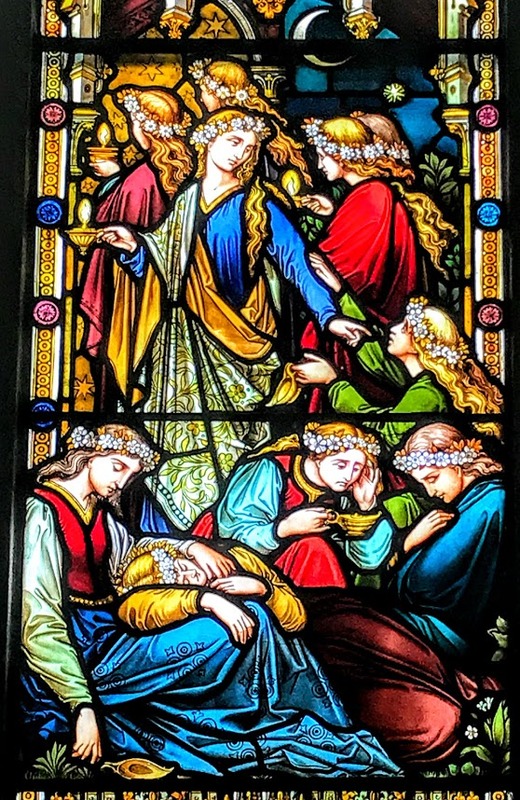 The windows were restored in recent years, when Sheridan Stained Glass, based in Newtown, Kells, Co Kilkenny, was involved in cleaning and repairing the stained-glass windows and supplied and fitted the protective glazing. 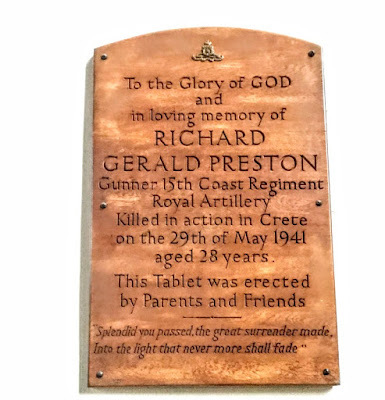 As I was leaving Saint Michael’s Church, I noticed a discreet carved wooden plaque beneath the north side of the west gallery. 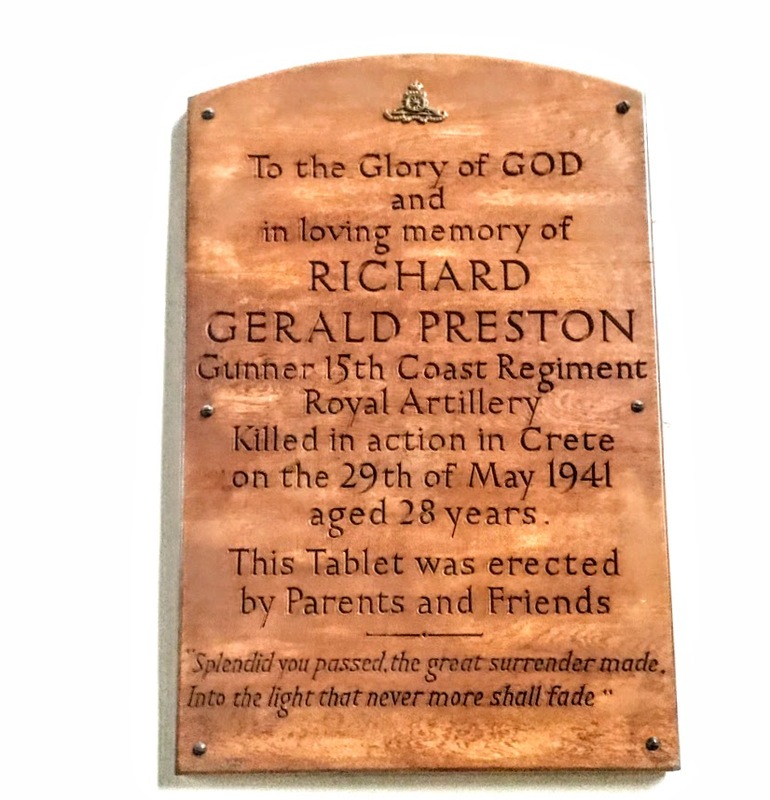 It commemorates Richard Gerald Preston, who was killed in action in the Crete on 29 May 1941 at the age of 28. 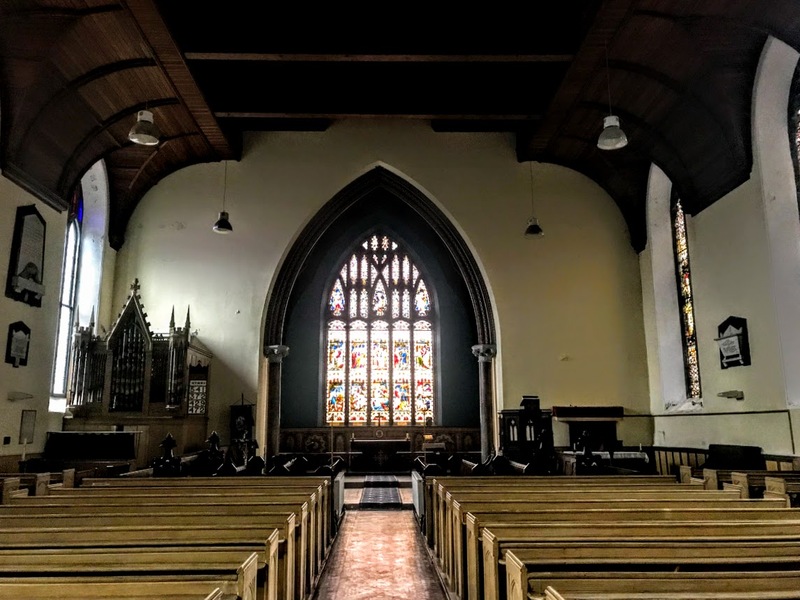 Saint Michael’s Church was completely restored in 2013, and the church continues to provide a vibrant Anglican presence in the heart of Limerick. 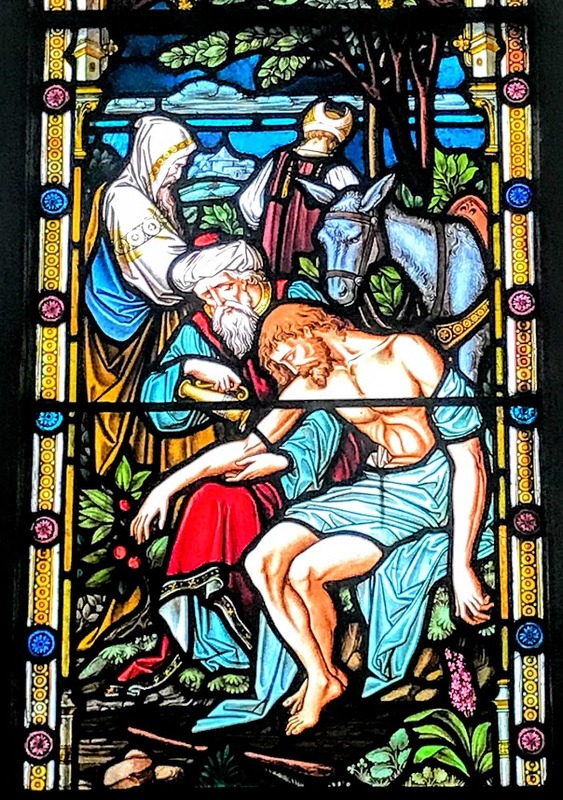 For Saint Michael's Roman Catholic parish church on Denmark Street, Limerick, visit here.